News coverage of the Canadian military has become increasingly important. Internationally, the Canadian Armed Forces have been involved in seven international conflicts since 1991, as well as with humanitarian operations. At home they have assisted in flood and wildfire relief, and the security of the 2010 Vancouver Olympic Winter Games. Yet stories involving the military can be complex, with even the basics such as appropriate language, ranks and regiments posing challenges to accurate reporting. And for operational security reasons, the military often sets the terms under which journalists must work. Join us for a talk with Brigadier-General Marc Thériault on how the Canadian military is responding to the evolving challenges and opportunities of a digital media environment. 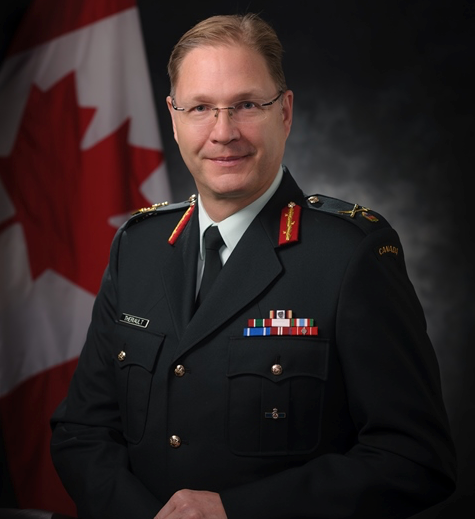 Brigadier-General Thériault is the Director General Public Affairs for the Canadian Armed Forces. His operational experience spans international NATO-led and UN-sanctioned peacekeeping, security, combat, and humanitarian operations in the Balkans, Afghanistan, and Haiti. Currently, he oversees the Canadian Armed Forces’ public communication programs, ranging from traditional media relations to social media and the Internet. In this session, he will offer students significant insights into Canada’s complex military and defence institution.